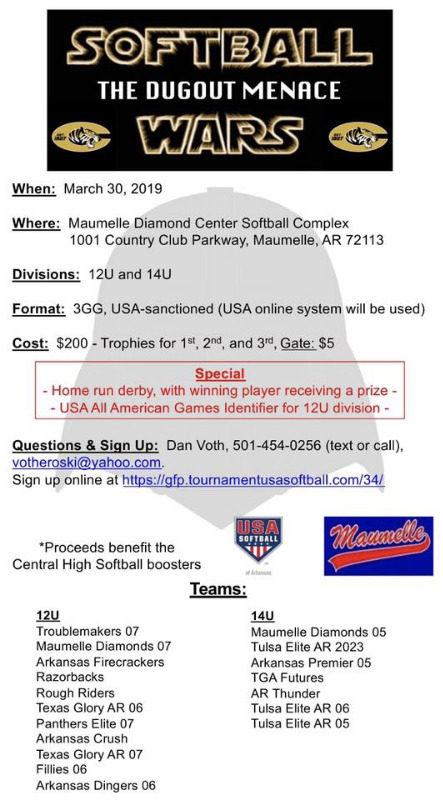 TOPIC:	Softball Wars V in Maumelle March 30! We have a few spots remaining, particularly in 14U. Please sign up by Monday, March 25!